The appeal of artists and scientists to the European Commission – Europo, nie odpuszczaj! List organizacji pozarządowych – podpisz! 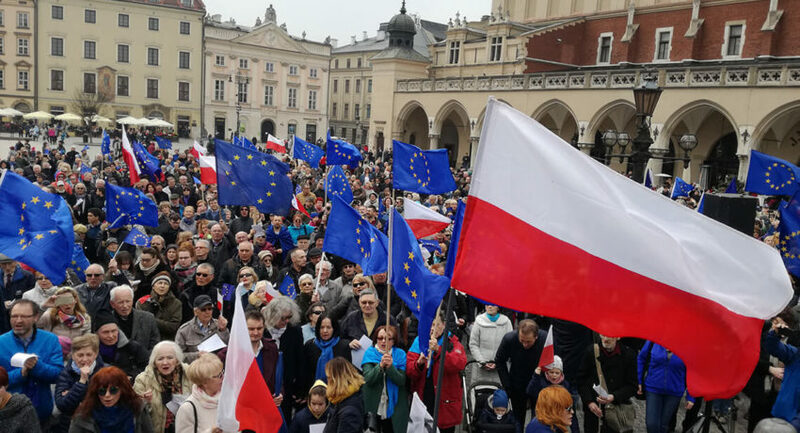 We are Polish artists and scientists, but first and foremost we are Polish and European patriots who above all cherish values, which every democratic community must be based on – freedom, rule of law, equality, human rights. We fought for them. Today, they are under serious threat. The actions of the Polish authorities constitute an assault on the separation of powers and independence of the judiciary – the main pillar of civil rights. It is taking place inside the legal territory of our European Union and will inevitably have dramatic consequences, both for our country as well as for the integrity of the entire Union. It is our opinion, shared by many distinguished Polish and international experts, that the actions of the ruling party in many areas violate the Polish Constitution. Unfortunately, the Constitutional Tribunal that would have been able to evaluate this and bring it to a stop has already been taken over and incapacitated by the current authorities. For this reason, like President Lech Wałęsa, we voice our support for the European Union with regard to the current proceedings taking place before the Court of Justice of the EU on the matter of the Polish Law on Ordinary Courts and we are impatiently awaiting the Court’s verdict. We appeal to the European Committee to take without delay the Law on the Polish Supreme Court to the Court of Justice of the European Union in accordance with the provisions of Article 258 of the Treaty on the Functioning of the European Union and to file the relevant motion for applying interim measures. The history of our continent teaches us that when the foundations of our common liberties are demolished, their restoration becomes extremely difficult. Fundacja Wolni Obywatele RP © 2018. All rights reserved.